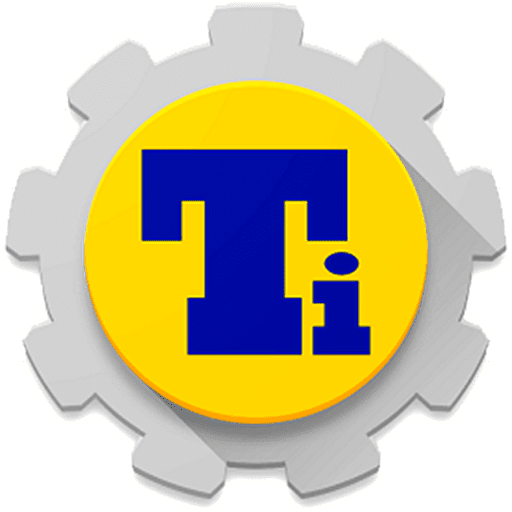 Titanium Backup Pro Latest Apk 2019 is an awesome Android app that can backup your Android files safely. This is one of the best backup app available on Google Play Store. With the help of Titanium Backup Pro Apk, you can backup, restore, freeze your apps and data. This app actually includes all protected apps & system apps, plus external data on your SD card. 2 What Is Titanium Backup Pro APK 2019? As we all know that technology is advancing at a rapid pace. With that pace, hackers are trying different methods to obtain sensitive information from users. So, technology and security play a major role in our life. Especially Android smartphones, these devices have become an inseparable part of our life. Well, it wouldn’t be wrong to say that we are actually addicted to the use of smartphones. We perform various tasks from our smartphone like editing work documents, reading news, browsing the web, instant messaging apps, playing games etc, Android actually makes everything easy. However, while we are so busy with our smartphones, we actually forget that this device is in one way or the other just a machine, and machines can encounter some errors. Have you ever wondered what if your device suddenly stopped working and the only way to fix it by resetting the entire smartphone which will probably remove all those important files saved on your Android? That’s why we are going to share an awesome Android app which is known as Titanium Backup Pro APK. 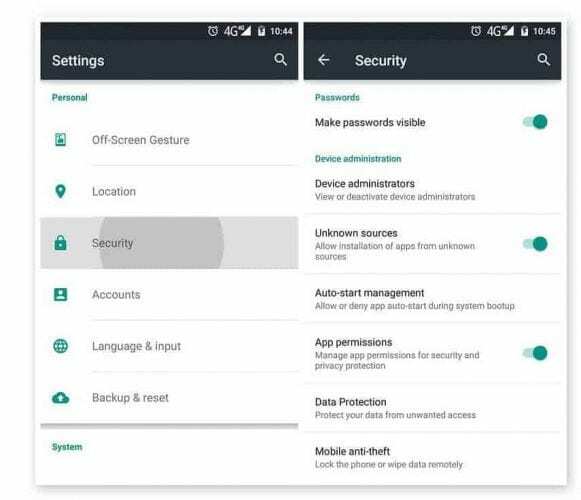 This app can backup your Android files safely. Well, there are many apps available on Google Play Store which claims to back up your entire device, however, most of them don’t work. What Is Titanium Backup Pro APK 2019? Well, Titanium Backup Pro is an awesome Android app that can backup your Android files safely. This is one of the best backup app available on Google Play Store. The app comes in two version paid and free. The free version have some limitation, however, the paid version has no restrictions and users can get to use all of its features. With the help of Titanium Backup Pro Apk, you can backup, restore, freeze your apps and data. This app actually includes all protected apps & system apps, plus external data on your SD card. Not only these, with the help of Titanium Pro APK, you can also backup/restore SMS, MMS, calls logs, bookmarks, WiFi AP as the XML file. It also has multi-user support for some apps and games. Well, know that you have known everything about Titanium Backup Pro APK, its time to move towards the feature section. As we already mentioned. Titanium Pro is an awesome Android app that can backup your Android files safely. This is one of the best backup app available on Google Play Store. The app comes in two version paid and free. The free version have some limitation, however, the paid version has no restrictions and users can get to use all of its features. So, we will talk about the premium version of Titanium app. 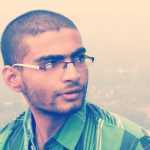 This app supports backups for SMS, MMS, Calls, and Bookmarks etc. You can Restore individual apps+data from CWM backups. 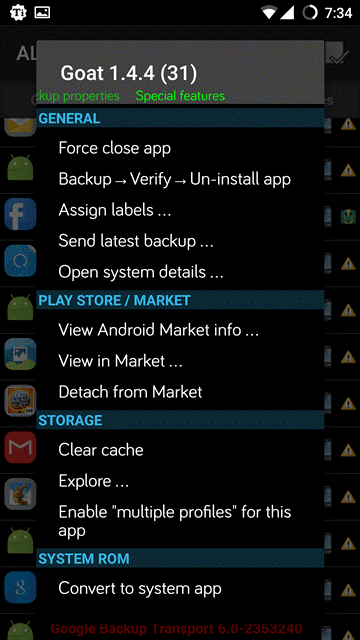 Restore individual apps+data from TWRP backups. Now that you have known everything about Titanium Backup Pro, it’s time to move towards the download section. However, before we proceed, let’s have a look at some of its requirements. Well, the installation process of Titanium Backup Pro doesn’t require any hefty requirements, you just need to have a rooted Android smartphone with the latest version of Titanium Backup Pro APK. Of course, you need to working internet connection to use the app. 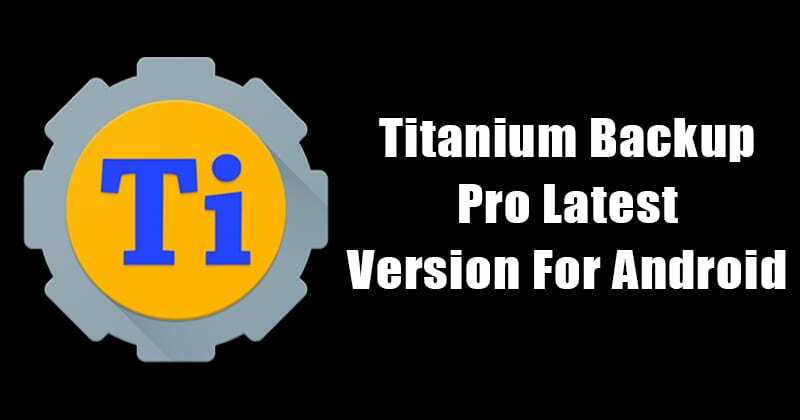 Above we have listed the latest version of Titanium Backup Pro apk that you can download and install on your Android smartphone. That’s all needed to run this awesome app on your Android device. So, make sure to download the apk file from trusted sources like us. Now let’s move towards the installation guide of the application. So, if you have already checked the requirements section that is shared just above. Then you are ready to install The Titanium Backup Pro on your Android. Well, you just need to install the APK file just like you do with other and you are good to go. So, follow the step by step guide given below to install Titanium Backup Pro APK on your Android device. Step 1. First of all, you need to download the Titanium Backup Pro APK from the given download link above. Step 3. Now install the app just like you do with all other apps. After the installation, open app drawer and tap on Titanium Backup Pro. Step 4. If you don’t have a rooted Android smartphone, then some of the features of this app will not work. Therefore, if you want to fully enjoy this app, then you need to have a rooted Android smartphone. Step 5. Open the app and then tap on the menu option present at the top right, and under this, you will see numerous options. Choose the one you like to use the app. That’s it, you are done! Now, on your screen, you will see all backup and restore options. 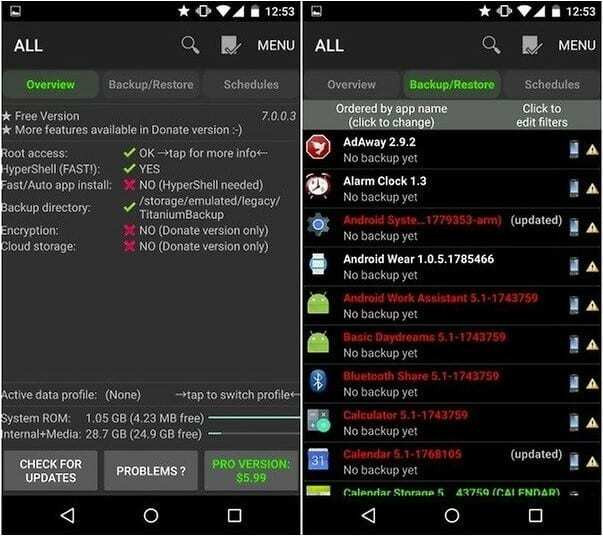 So, this is how you can download and install Titanium Backup Pro latest apk 2019 on your Android smartphone. If you are facing problem at any of the steps mentioned above, make sure to discuss with us in the comment box at the end of the article. Well, below we have listed a few of the recommended tips which you should follow. These tips & suggestions will make things a lot easier. The latest version of Titanium Backup Pro Apkdoesn’t saves duplicate apps. So, you don’t need to worry about duplicate apps anymore. Users are recommended to reboot their Android smartphone after restoring system items like SMS, Contacts, Settings, etc. Titanium Backup Pro Apk also allows users to disable bloatware. Users just need to open the bloatware in the Titanium Backup Pro app and choose the ‘Freeze’ option. This will disable the bloatware. Always make sure to verify the backups. For that, click on ‘Menu’ and select ‘Batch’ to ensure that your backups are ok. So, these are some of the best tips & suggestions to use Titanium Backup Pro on Android. These tips will make things a lot easier. So, above is all about Titanium Backup Pro APK Latest 2019. The article covers each and every aspect of the app. Without any doubt, Titanium Backup Pro is one of the best app available for the Android operating system. We have also mentioned one of the easy and most convenient methods to install the app on your Android. If you are facing any problem at any of the mentioned steps, make sure to discuss with us in the comment section below. So, what do you think about this? Share your views in the comment box below.